As I said a few years ago when I reviewed Dee DeTarsio’s novel, All My Restless Life to Live, everyone who knows me – and even some people who don’t – knows that I am a huge soap opera fan. When I was in high school in the 1980s, there were 12 soaps on the air and somehow I managed to follow the stories and characters in each one. And although I no longer watch any daytime soaps (I quit watching General Hospital for the fourth time in 2013, but I’m hooked on the nighttime ones like Grey’s Anatomy and Nashville), I still hold the daytime drama genre very close to my heart. So naturally, when another soap-opera themed book came up for review, I jumped at it. Karen Tomsovic’s Spare Me the Drama stars Martin, who, with his now-deceased wife Jeanie, has been head writer for the soap After The Loving for the past seventeen years. But now Jeanie’s dead – having been thrown from a horse that was bitten by a snake – leaving him with the show and their eight children, who range from practically adult to just-out-of-diapers. When Martin invites Roxanne Hunter – ATL’s former leading lady who parlayed her daytime success into a mattress fortune – to his niece’s birthday party, sparks fly. But will Martin’s kids accept a new woman in their father’s life? For this old time General Hospital fan, Spare Me the Drama started off strong. Spare Me the Drama takes place in Point Disillusion. (General Hospital takes place in Port Charles.) An early story Martin grapples with features Damian, a low-level mobster, who’s trying to prove himself to his crime bosses by making a hit on the town’s corrupt mayor. But his true love, Emily, prevents him from doing so by tossing his car keys over a cliff. This leaves Damian’s best friend, Freddy, to attempt the hit himself. Instead, Freddy is shot in the chest and dies in the arms of his true love. As longtime fans of General Hospital know, in November 1979 Laura Baldwin kept her true love Luke Spencer from committing a hit on corrupt senator Mitch Williams by throwing his car keys off a cliff. This left Luke’s best friend, Roy, to attempt the murder. But Roy himself was killed, dying in the arms of his true love, Luke’s sister Bobbie. (That Roy came back some twenty years later in the form of another actor to pointless storylines is irrelevant at this point.) After reading this summary, I was very eager to see what other soap story tidbits Tomsovic had hidden away in Spare Me the Drama. Unfortunately for me, Tomsovic sticks pretty closely to the Martin/Roxanne relationship in her novel. While there are a few throw-away mentions to other storylines, past and present, and some grappling with the executive producer and network, the soap opera setting takes a huge back seat to the romance and family drama. Along with Martin and Roxanne, two of Martin’s daughters are point of view characters. And while Martin acquired some of his children in soap operaish ways – a grown-up foster child here, an adopted orphaned niece there – there were no outlandish twists that this soap opera fan was hoping for. This is not to criticize Tomsovic’s writing. 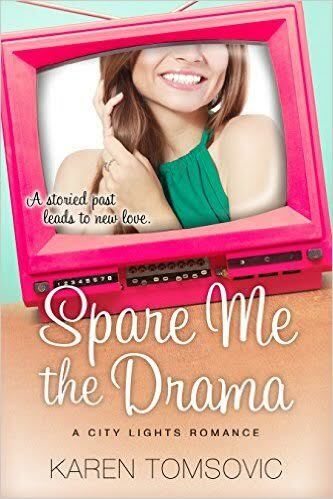 Spare Me the Drama features a sweet romance between two likable characters, trying to come together in the middle of an Eight is Enough-type brood. The conflict is extremely low-level, making the title quite accurate. Romance fans will find much to enjoy about Spare Me the Drama. But if, like me, you’re looking for a novel that would take you behind the scenes at a soap opera in the way that Nurse Betty or Tootsie did, "Drama" will disappoint. 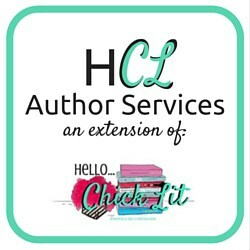 Thanks to Hello...Chick Lit for the book in exchange for an honest review and for including us on Karen Tomsovic's blog tour. They have THREE e-book copies to give away to readers anywhere in the world. Open worldwide. Giveaway ends April 2nd. This sounds good. I used to watch General Hospital when I was younger. Then it was The Young and the Restless. Now I only watch The Bold and the Beautiful.